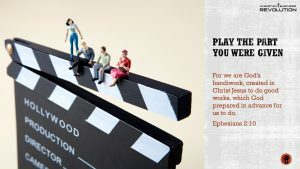 Business Bible verse wisdom: Play the Role You Were Given. Evaluate Roles: Write down all the roles you play in your business. Give yourself a grade for each role. Educate Your Roles: Read a book or watch some video training to better develop in an area that you are weak in. You don’t have to master it, you just need to know more than the average person who works in your business. Delegate Your Roles: Evaluate your interest level and skill level in each of your roles. Then, evaluate the cost of each role. If you are spending time doing tasks that could be hired out at ten dollars an hour, you are costing yourself money because you are more valuable than that as a business owner. 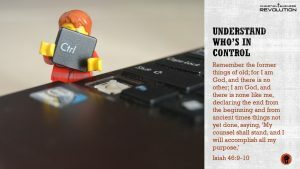 Business Bible verse wisdom: Understand who is in control. Post the serenity prayer somewhere close by or make it your computer screen wallpaper. Just use it to remind yourself that God is in charge. Write down anything that is stressing you out on a sticky note or scratch paper. Pray about each item one at a time and crumple it up. Throw it in the trash physically and release it mentally. Commit to praying no less than five full minutes a day for a part of your business that is frustrating you. Don’t allow any distractions, commit that time to one specific focus. 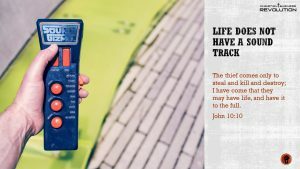 Business Bible verse wisdom: Life does not have a sound track. Realize that you are a child of God and should reflect Him. Read Galatians 5:22-23. Evaluate yourself by fruits. Create a list of the fruits and give yourself a grade for each. Pick one fruit to develop. Pray for guidance and create a simple plan. Take a personality test and get to know yourself better. Evaluate your family life and your relationship with friends. Get rid of any grudges and live in forgiveness. Read Psalms and other Bible stories to identify emotions you relate to and see how people in the Bible dealt with those same emotions. Take a spiritual gifts test online and determine how God has made you to interact with the world. Commit to regular spiritual habits: Bible reading, Prayer, Church involvement, Giving, etc. Listen to Christian music (any style you prefer). Read a book that helps you in business. Listen to a podcast from a leader you respect in the business world, preferably Christian leaders. Keep a food journal for a week and evaluate your typical diet. Adjust small areas to better your nutrition. Implement a simple exercise routine start once a week, then three times a week, then six! Get a fitness coach or accountability partner to help keep you on track. Black friday . 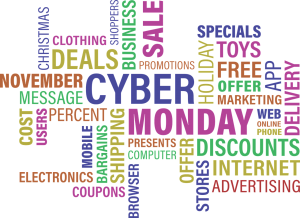 . . cyber monday . . .it all amounts to hurrying to get the next best deal. What if we built a business based on God’s principles? What would happen if people trusted our business so much that they did not even think about going somewhere else no matter what kind of sales were going on? I am not saying we should not be competitive, but our competitive advantage is the way we care for people. It is the way that God’s love shines out of our business and into the lives of others. I am not saying I have all the answers. I am saying we need to rethink how we use holidays to sell more stuff. Our focus should always be on the way we care for others and share the love of God. If our customers know that, we don’t have to entice them with the next big sale. Instead, we can honor them with their committed loyalty and help them make a great decision. In Corinthians chapter 8 we see that Paul is talking about food. Specifically, he is talking about food sacrificed to idols. We don’t have much in the way of context in our modern world to relate. Basically, Jews believed that food sacrificed to an idol, you were indirectly involved in worshipping that idol. When they became Christian, they still would not eat that food. Gentiles, the rest of us, did not see it as worshipping idols. Paul used this major issue of his day to talk about unification within the church. He starts off by talking about knowledge. He says “Knowledge puffs up with love builds up.” This is a huge issue today. How many times has someone just had to make a comment about what someone else was doing? As Christians, we are not here on this earth as moral police. We are here to help bring people to Christ. Correcting someone based on knowledge is not a good bridge to bring them to Christ. The bridge of love is a much better path. Paul points out that the issue is not about other gods. The issue is about how we think about our actions. Our conscience is what makes us decide the best course of action for ourselves, not for others. That bears repeating. Conscience is what helps us decide what is best for ourselves. It is not meant to correct others around us. Paul then really nails the point home in verse 8. It is not about the meat. It is about what is bringing us closer to God. If not eating meat brings us closer to God, then don’t eat meat. If eating meat brings us closer to God, then eat meat. Paul ends the chapter by talking about our responsibilities. We are not supposed to be a stumbling block for those who are weaker in the faith, or those who have yet to make a decision for Christ. God wants us to act responsibly. As business owners, we have a responsibility to act as if we are representing Christ because we are. We are to treat others with gentleness, respect and love. We sometimes set the example for what a Christian is supposed to be in this world. If you are doing something that is causing someone else to question their faith, you need to stop. Be aware of how your actions are helping or hurting others. You have a great responsibility that comes from your influence as a business owner. Use it wisely and show the world the love of Christ and the wisdom of God. As business owners we wear many hats. We have many roles to play. We have to be the boss, accountant, mentor, leaders, pastor, spouse, parent, priest, etc. Each of our roles are part of who we are. Our personality should remain the same through all the stages and all the roles we play. We stay ‘in character’ by being the person that God created us to be. Take each of your roles seriously. Take time to evaluate all the roles you play. You may not be an accountant, but you should know enough to evaluate the work of your accountant. You should have a basic understanding of how money works and finances. You should know how to read reports and evaluate them quickly. Let’s look at Isaiah 46:9-10 to see practical Business wisdom from the Bible. Too often we try to control everything we do in this life. We should plan and make every effort to the best we can in every situation, but at that point we have to let Go do what He is best at: taking care of us. Ultimately, He is in control. I used to tell a story. Imagine the three strongest people you can think of (The Rock, Arnold, etc.). They are standing behind you. A car has fallen on someone you love. Would you ask these strong people to stand aside as you try to lift the car off your loved one? That would not be wise. We must release things to God if we really understand He is in control. We do as much as we can and then let God take over. The old saying goes: We have to let go and let God. Let’s look at John 10:10 to see practical Business wisdom from the Bible. If life had a sound track, we would know who the good guys are and who the bad guys are. We know by looking at the history of politics that it is not always easy to spot the good guys. 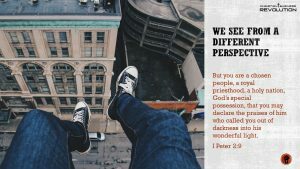 We must have discernment. We live in a world where people can pretend to be good, only to be harboring evil as they move forward in their personal plan. Look at how many televangelist’s empires crumbled when the truth came out or how many Christians failed in business because they cheated on taxes or lied to employees. We can look at this verse we find the answer. We have to look at the fruits that people produce. Are they honest? Do they protect others? Do they build up others and add value to life? Those are the opposite of what the verse defines as a thief. Jesus came to give us life to the full. He wants to take our personalities and explode them with His power. He wants to bring out all of the best of our life and show the world His face shining through us. Today’s video is about our perspective here on earth in light of scripture. Bible verses, visual images and a perspective of life are included in each part of this scripture. If you are a faith member, you can download any of these images with the Bible verse and the wisdom thought from ‘images’ in your dashboard. It’s totally free for you! All of these Bible verses talk about a perspective in business. The business Bible verses focus on you and who you are according to the Bible. We just need to understand who we are and help others in the world understand who they are. When it comes to owning a business, your most valuable asset is you. You were given the dream, desire and decision to grow your business. God created you in such a way that you were meant to do something to impact the world. Before we go too far, let’s look at the biblical foundation for this concept. You may say, “This is not about investing. It’s about worshiping God and loving others.” I would agree to some extent, but I want you to look further. The verse says to love God with all your heart, soul, mind and strength. How can you do that unless you are healthy in heart, soul, mind and strength? How can you do that unless you have invested in yourself in all four of those areas of growth? When we invest in ourselves we are investing in our worship of God. We want to love God with all of our heart. We must invest time in emotional development. We must seek deep into who we are and find our purpose. We must then, worship God out of that purpose. We want to love God with all of our soul. We must invest time in developing our spiritual lives through Bible study, involvement with church, accountability, giving, worship, prayer, etc. We must develop who we are as spiritual beings and children of God. We want to love God with all of our mind. We must sharpen our minds so that we can worship God with all of our faculties. We must be ever growing our minds in the purpose that God has given us here on earth in order to honor Him. We want to love God with all of our strength. We must start by understanding that our body is God’s temple. We must feed it healthy food. We must commit to regular exercise, rest, etc. We can’t worship God unless we first have the strength to do so in our body. 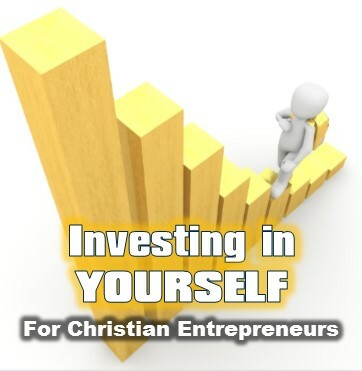 Investing in yourself is the first way that you begin honoring God. If we go back to the verse, it says to love our neighbors as ourselves. If we don’t love ourselves, how can we love our neighbors? If we don’t love ourselves, how can we truly worship a God who created us the way we are? As Christians, we should always be striving to be better in all areas of live. When we start with the simple things we can control, we find ourselves loving God and loving others in increasing capacity. I am not saying do all of these at once. Pick ONE AREA and do ONE THING. Investments grow best little by little. Life and growth is about small incremental moments. 1% growth in any area is easily attainable. It could be a simple walk around the block, read a chapter of Bible each day and find a Christian podcast to listen to. Note: you can do all three of these at the same time. Listen to the podcast while you walk and eat a fruit or veggie while you walk . . . that’s a three for one . . . and if the podcast is Christian, it could be a little growth in all four areas with one simple activity. Investing in yourself is not hard. It just takes a bit of planning and strategy. If you need help, contact a Christian business coach or find a mentor in your local area.